Fathers-to-be have been warned to avoid alcohol or risk affecting the health and well-being of their unborn child. Paternal alcohol use can lead to decreased newborn birth weight, marked reduction in overall brain size and impaired cognitive function. Expectant mothers have long been the subject of health warnings about drinking alcohol when pregnant. However, global research is increasingly looking at the impact of the father's drinking and diet on the unborn child. An estimated 600 babies are born in Ireland each year with foetal alcohol syndrome (FAS), which can lead to a child having difficulty with balance, co-ordination, learning disabilities and hearing and vision problems. Foetal alcohol spectrum disorder (FASD) has been a condition attributed solely to the mother who drinks in pregnancy. The woman carries the foetus, and alcohol passes through her bloodstream to the womb. However, research has found that the baby's health can also be affected by the father's lifestyle habits. 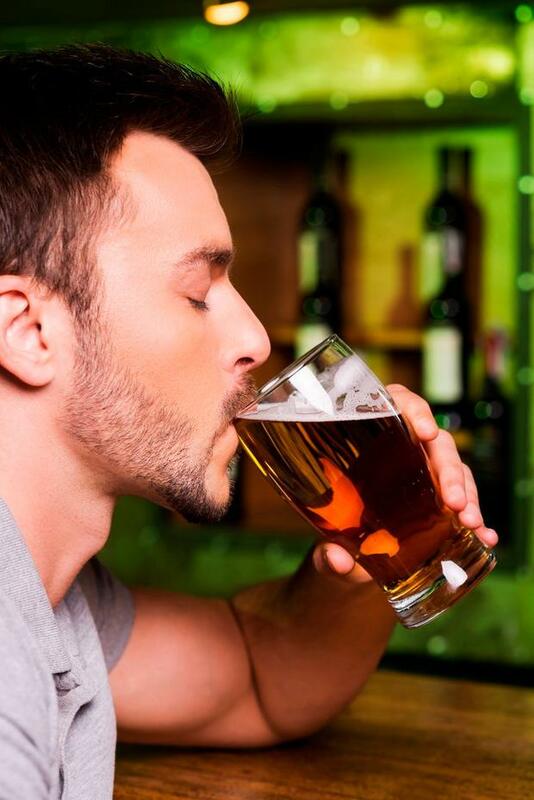 A study at Georgetown University Medical Centre claims a father's alcohol intake, age, diet and psychological state could all make a difference. Joanna Kitlinska, an associate professor at the Washington institute, claimed that up to 75pc of children with FASD have biological fathers who are alcoholics. Researchers have also claimed there could be a relationship between a father of advanced age, potentially leading to his child being born with schizophrenia, autism and birth defects. Paternal obesity is also being linked to enlarged fat cells, diabetes, obesity and brain cancer in children. Today, on FASD Awareness Day, experts called for more research to raise knowledge of links between a father's drinking and the health of the unborn child. Professor Cecily Begley, chair of nursing and midwifery, at Trinity College in Dublin, said: "We need to carry out more research into this issue in Ireland given our relationship with alcohol, especially when we consider young people, binge drinking and unplanned pregnancies. The best advice is for mother and father to stay away from alcohol when trying to conceive. "I already advise couples to steer away from alcohol, to control their weight loss and for them to eat as much fruit as possible." Maeve Eogan, an obstetrician at the Rotunda Hospital in Dublin, said it was vital the message was delivered to women that FASD was caused by a mother drinking during pregnancy. But she added that the research into paternal drinking was "really interesting". "We pay more attention now to paternal health as medics and when it comes to couples hoping to conceive, we advise both parents to be cautious about alcohol intake as there could be an impact on fertility," she said. "The Georgetown study looks at the impact of genetics: the changes in the father's genetic make-up that could potentially impact on his baby and also change the genetic make-up impacting on future generations as well. "We need to focus on a public health message for mums and dads: there is no safe amount of alcohol for a pregnancy." Dr Mary T O'Mahony, a specialist in public health medicine at St Finbarr's Hospital, Cork, said: "The proof of cause of the mother's drinking goes back as far as the 1960s and the effect is seen in all populations."